For junior officers and enlisted personnel whose professional and/or leadership achievements on or after 1 May 1961, are clearly of a superlative nature. 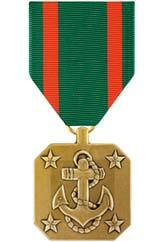 Originally designed for recognition of non-combat professional and/or leadership achievements, the Navy Achievement Medal may now also be presented for combat valor, to members of the Navy or Marine Corps. 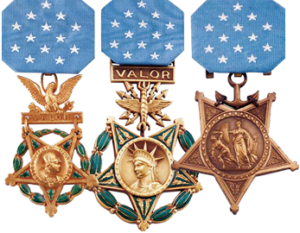 It holds the same level of precedence as the Achievement Medals of the Army, Air Force and Coast Guard.